Dalianna Cruz, is reflected in a mirror as she goes through an early morning workout at Barre3 studio located at La Encantada. The technique uses isometrics to strengthen muscles and the time to ensure proper alignment using small movements. There is a cardio element that lifts the heart rate and improves circulation. This looks like a whole lot of cardio. Floor Polish is a dance studio offering fun workout classes like Do(om) Yoga and Burlesque Fitness. Students drape over nylon hammocks to intensify back stretches at Take Flight Yoga and Movement downtown. Owner Kate Pedersen remains in a pose with a ball between her knees as she leads a morning exercise class at Barre3 studio located at La Encantada. Barre3, a blend of ballet, pilates and yoga, delivers a low-impact, total-body workout designed to burn fat and build muscle. The technique uses isometrics to strengthen muscles and the time to ensure proper alignment using small movements. These are your best friends in Pound Fitness. Jenna Herder throws kicks while working with Tim Powell on his defensive moves at her Combat Krav Maga gym, 33273 N Freeway, Wednesday November 15, 2017, Tucson, Ariz.
Hermitage is hosting yoga classes with the kitties. CrossFit involves a variety of functional movements. 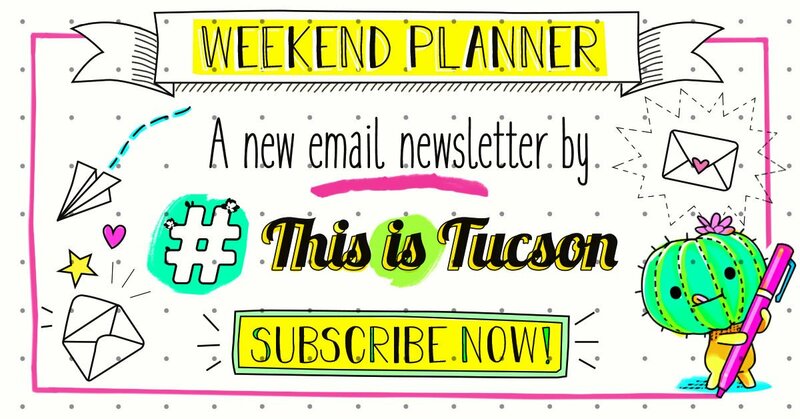 This story was produced for Tucson Parks and Recreation by #ThisIsTucson. Thanks for supporting the local organizations that support us! You know the feeling. When you've done a workout a million times and are just. so. bored. Tucson's no New York, but there are still plenty of options to add some flair to your fitness. Besides, there's nothing quite like trying something new with a friend and sharing a look as the instructor proposes you increase the resistance on your stationary bike or try, just try, to prop your knees on your elbows for Crow Pose. Yeah. Right. If you're looking to try something new, without signing up for a spendy membership, we've got you covered. We're pretty sure you could work out for a month and pay about $10 just by hopping from free trial to free trial. Just don't blame us if you can't walk the next day. In the last year or so, Tucson has gained two dedicated spin studios. Revolve Cycling at St. Philip's Plaza, 4330 N. Campbell Ave., is basically a night club on wheels for 50 minutes. Try it out for $8. After that, a drop-in costs $16. Visit revolvetucson.com for more information. Or check out the appropriately-named Let's Sweat, 439 N. Sixth Ave., Suite 101. Classes range from spin and TRX combos, only spin, only TRX and even a yoga flow class. A single class costs $15. Or as a first time guest you can get three for $30. Visit letssweattucson.com for more information. The Bollywood Groove class at Floor Polish, 215 N. Hoff Ave. No. 107, has all the Bollywood flavor you crave. Classes cost $10. You'll also find Burlesque Fitness, Solo Salsa and a Broadway Jazz classes there for less than $10. Pro tip: If quirky classes are your thing, visit floorpolishdance.com for more information. BreakOut Studios, 5811 E. Speedway, also has a variety of dance classes that you can pop in for: Ballet, Jazz and dance cardio to name a few. Drop in for a single class for $10. Visit breakoutstudiostucson.com. And for Zumba, the queen bee of cardio dance, we suggest getting a free guest pass at your nearest YMCA, which will get you into the class at no cost. (This would also be a good way to try other common classes such as spin, barre and yoga for no cost). In addition to the barre classes you'd find at a gym, Tucson has at least two studios devoted just to barre classes. Both are local franchises of national brands. But be warned, they are a bit pricey. You'll find Barre 3 at La Encantada, 2905 E Skyline Drive, Suite 292. A single class costs $22, but as a new client you can get three classes for $30. Pro tip: Barre 3 has a play lounge where you can drop your kiddos for $5. Pure Barre is at Casas Adobes Plaza, 7121 N. Oracle Road. A single class is $23 but you can try a week free. Visit purebarre.com for more information on that. Pro tip 2: The studios may occasionally offer free courses when new instructors are training. Keep your eyes open for that. This is extreme yoga. In the air. Take Flight Yoga and Movement, 35 E. Toole Ave., has classes on silks and aerial yoga. You can drop in for $16 — your second class is free if you're a first-timer. Visit takeflightyoga.com for more info. You'll also find aerial yoga classes at Om Yoga, 5961 N. Oracle Road, with a drop-in rate of $18. Newcomers can also get a second traditional yoga class free. Visit omyogatucson.com for more information. FINALLY OTF Casas Adobes has its own instagram! Tag your friends so you all can keep up with our studio specific programs and offers! Maybe you've been getting the mailers about one of the newest national fitness trends to land in Tucson. At Orangetheory Fitness, now with four Tucson locations, you'll do 60 minutes of intense, heart-rate monitored interval training. TBH we're breathing heavy just thinking of it. You can try your first class free. Go here for more details. A drop-in session costs $28. For more information visit orangetheoryfitness.com. There are actually a ton of places you can try a Pound Fitness class in Tucson (go here for a complete list), but we're going to suggest the ones at Prestige Fitness, 4490 N. First Ave. A few members of our staff tried this class and almost died — JK but they did complain about being sore for days. Classes here are $10 for a single class and you can sign up or get more information at prestigefitnessaz.com. OR you can try Pound along with tons of other fitness classes at Reid Park Zoo's Fit Fest Saturday, March 3. Presale tickets cost $15 and get you access to three hours worth of workouts and wellness vendors. Visit reidparkzoo.org/event/2018-fit-fest for more. The options in this category are many. Last year, Angela Pittenger and I tried a women's-only self-defense class at Combat Krav Maga Unit 545, 3273 N. Freeway. For a donation of $5 or less (you decide) you can learn some techniques used in Krav Maga, a form of self defense developed by the Israeli military. The studio also offers free intro classes to Krav Maga. Learn more at combatkravmagatucson.com. You can also try a free trial class of capoeira, a martial art created in Brazil by African slaves. Capoeira blends self defense, dance and acrobatics. Axé Capoeira Tucson is at 2928 E. Broadway. For more information, visit tucsoncapoeira.com. Pro tip: They're not the only capoeira school to do free trials. This is a thing. Thanks to Hermitage No-Kill Cat Shelter and Sanctuary, 5278 E. 21st. Practice your cat pose with kitties milling around your yoga mat. You'll need to sign up way in advance of these classes. Surprise, surprise, people love cat yoga, and classes fill up fast. For more information, visit hermitagecatshelter.org/cat-yoga. Classes are $15 a class. Pro tip: Goat yoga is supposedly coming to Tucson Petting Zoo & Funny Foot Farm. Details still TBD. Learn more about the farm and its cute baby goats here. The Circus Academy of Tucson is where you can fulfill your dreams to run away with the circus. Drop-in pricing for adults ranges from $15-$25. You can look for classes that focus on silks; trapeze, lyra and sling; and juggling and balance, among other skills. Visit circusacademytucson.com for more information. This isn't exactly a class, but if you want to try running but lack the motivation to scout a route for yourself, get up and go, try running with a group. Fleet Feet Sports Tucson organizes weekly fun runs that range between three to five miles. The Thursday runs even conclude at Tap and Bottle. Visit fleetfeettucson.com for more information about those free runs. You can also check out Southern Arizona Roadrunners, which has a whole list of running groups with options for runners at any level. Visit azroadrunners.org/running_groups. The whole idea of CrossFit intimidates us. Good thing a number of CrossFit gyms have free trials. Here are a two we found that have free introductions: CrossFit Tucson, 3820 S. Palo Verde Road, (free week pass)and CrossFit Northwest Tucson, 6800 N. Camino Martin, (free sample class). Just from googling, it looks like lots of CrossFit gyms offer some version of the free trial, just FYI. Tucson Parks and Recreation offers all kinds of health and fitness classes for adults including, yoga, pilates, karate, T'ai Chi, total body conditioning, dance and Zumba. The price-per-class breaks down to about $6-7 for an eight-class session. Register now! Experience, explore, engage, and discover through places and programs at Parks and Recreation on the web and on Facebook. Wanna be a speed skater? Head over to Skate Country. It's about a month into the new year. How are those "new year, new me" proclamations coming along? If you've ever wondered what the heck Pound Fitness or PiYo are, check out Fit Fest at the Reid Park Zoo Saturday, March 3. Fun, sassy fitness studio Floor Polish has a new more visible space on Fourth Ave.
Glo Fitness Studio has its grand opening Saturday, April 7. There's nothing quite like doing a happy baby pose and wondering if you're going to roll right off your mat and into the water.